"New corner marquee and sign installation on the RKO Republic theatre in Brooklyn, N.Y. Attraction board letters are 10-inch Adler silhouette. Marquee and sign are by the Continental Sign Company." 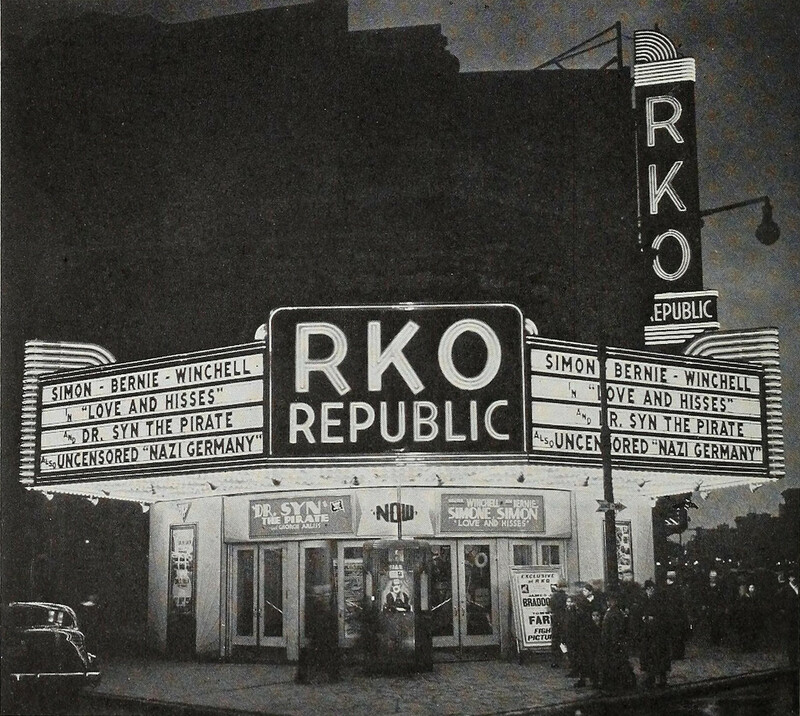 The RKO Republic, 426 Keap Street, Brooklyn Theatre Index, Volume II, "Third and Final Edition," to be published in 2017. Celebrating twenty years of theatre talks and walks. Available in 2016 for historical societies, libraries, senior centers, etc. I love to see your gorgeous and an informative and knowledgeable article on bestessaytips reviews this website. Your words are my favorite words and I read all these in one step and got lots of good points.